Everybody wants their version of Sean McVay, and the Cardinals believe they have it with Kliff Kingsbury. The young, offensive-minded head coach was fired by Texas Tech this season and took the offensive coordinator job at USC before resigning and taking the Cardinals job. Kingsbury has had loads of success on the offensive side of the ball, developing quarterbacks like Patrick Mahomes, Johnny Manziel, Baker Mayfield, and Case Keenum. Presumably, Kingsbury will implement his air-raid offense with the hopes that Josh Rosen will take to it and develop into the quarterback of the future for the Cardinals. During Kingsbury's six years at Texas Tech, his offenses ranked in the top five of passing yards per game four times and never ranked lower than 11th. The Cardinals have solid young pieces on offense for Kingsbury to build around in Josh Rosen, David Johnson, Christian Kirk, and Ricky Seals-Jones that should help him to find the same success he had at Texas Tech. The biggest concern with this hire is how the defense will look with Kingsbury coaching. I thought Kingsbury would make a great NFL offensive coordinator but was unsure about how he would work as a head coach, given his struggle to win games at Texas Tech. The Cardinals went out and hired ex-Broncos head coach Vance Joseph to be the defensive coordinator, which is a great hire and should allow Kingsbury to focus most of his attention to the offensive side of the ball where he thrives. When the Browns fired Hue Jackson and Todd Haley during the season, Gregg Williams became the head coach, and Freddie Kitchens assumed the offensive coordinator position. The Browns went 5-3 in their games under Williams and Kitchens. With Todd Haley calling plays, Pro Football Focus ranked the Browns offense 30th in the NFL. Kitchens took over that offense and turned it into the second ranked offense for the rest of the season. Many people thought that the Browns would keep Williams at head coach and Kitchens at offensive coordinator, but the Browns wanted to keep Kitchens at all costs. That included preventing him from interviewing with other teams and eventually making him head coach. I believe that Kitchens's connection with Baker Mayfield is the reason the Browns were so determined to keep Kitchens around. Mayfield credits Kitchens's "creative mind" for the success of the Browns and the offense. Mayfield's QBR was 34 points better with Kitchens calling the plays. The Browns have built themselves quite a staff around Kitchens. They hired Bucs offensive coordinator, Todd Monken, who was a head coaching candidate and brought in ex-Cardinals head coach Steve Wilks to be the defensive coordinator. 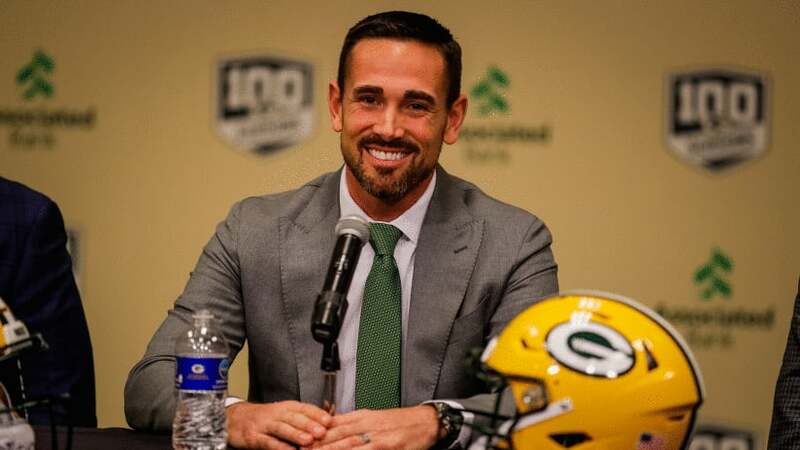 The Packers head coaching position is Matt LaFleur's fourth job in as many years. LaFleur was the Falcons quarterbacks coach in 2016, the Rams offensive coordinator in 2017, and most recently, the Titans offensive coordinator. After coaching the two highest scoring offenses in the league for two years in a row (Atlanta in 2016 and LA in 2017), LaFleur's offense in Tenessee was 27th in scoring. LaFleur was a hot candidate this season, in part due to his connection to Sean McVay, despite the struggles his offense endured this past season. The personnel he has to work with on Green Bay is more similar to the Falcons and Rams than it is to the Titans, so it is fair to assume he will resume the success he had previously, before Tennessee. Lafleur's innovation will be a breath of fresh air for Aaron Rodgers and Packers fans, after watching Mike McCarthy's offense struggle and fail to evolve over the years. The Packers have had to rely on Rodgers to make special plays for them to win, but with LaFleur, their offense should win schematically. The Jets wasted no time hiring former AFC East rival Miami Dolphins head coach Adam Gase. Gase formally thought of as an offensive genius and quarterback whisperer struggled to win games and develop quarterback Ryan Tannehill during his time in Miami. Gase led the Dolphins to a 23-25 record in his three seasons in Miami and the Dolphins never once had an offense that finished higher than 25th in yards per game. The assumption is that the Jets still believe Gase is the guy everyone thought he was when his offenses in Denver finished first and fourth in points per game. I'm not so sure many teams join the Jets in that sentiment and these next few years are particularly important for the future of the franchise in regards to the development of quarterback Sam Darnold. After a rookie season filled with ups and downs, Darnold needs stability from his coaching staff, and I'm not too sure Gase can provide that. The Buccaneers have pulled Bruce Arians out of retirement to become their next head coach. Dubbed a "quarterback whisperer" Arians might be just what the Buccaneers need in a time of turmoil at the position. The Bucs are tentative to commit to Jameis Winston and hope that Arians will help him to trend in the right direction. Entering year five, Winston is at a pivotal point in his career, as are the Bucs as they have to decide if they want to pay him. When Arians took over in Arizona, he brought Carson Palmer back from the dead, and the Bucs hope he can perform his magic on Winston. Arians has a 49-30-1 record as a head coach and has had just one losing season in his five seasons as a head coach. The Bucs, on the other hand, have had only two winning seasons since 2010 and have struggled to develop their young talent. Arians should, at the very least, better help the Bucs to make their decision on Jameis Winston. New Broncos head coach Vic Fangio has been a defensive coordinator in the NFL for 19 years. Most notably, coaching the NFL's best defense (the Bears) this past season and being named the assistant coach of the year. In those 19 years, his defenses have ranked in the top ten of points allowed eight times. In an NFL where every team wants an offense like the Rams, Fangio showed the league how successful a team could be with a dominant defense. Fangio's defense in Chicago predicated on getting pressure and forcing turnovers. He will have no problem doing that in Denver with Von Miller and Bradley Chubb on the edges. Where he will have problems, however, is on the offensive side of the ball. The Broncos have not yet found a quarterback to lead their team, despite giving Case Keenum a massive contract last offseason. Fangio should be able to restore the Broncos defense to the level they played at when they won the Super Bowl, but will have his work cut out for him on the offensive side of the ball. Fresh off of his stellar performance in the Super Bowl, the Dolphins hired Patriots linebacker coach and defensive play-caller, Brian Flores. Flores has been working for the Patriots since 2004, in a variety of roles. He worked as an assistant coach of offense and special teams, a defensive assistant, a safeties coach, and most recently, his position as de facto defensive coordinator. Anyone around the Patriots for that long, with that much experience, has a high level of football intelligence and understands what it takes to be successful in this league. Flores's defensive unit got better as the season went on, eventually holding one of the league's most explosive offenses to three points. Flores inherits a Dolphins team that has been swimming in mediocrity for two decades. Since 2002, they have only made the playoffs twice, losing both games. Flores is also tasked with finding a new franchise quarterback, as the Dolphins plan to move on from Ryan Tannehill. Flores is a heck of a coach and a good hire, but he has a lot to figure out and clean up before the Dolphins are successful. The Bengals have finally escaped the mediocre grasp of Marvin Lewis. They have joined the other teams this offseason in hiring an associate of Sean McVay, his quarterbacks coach, Zac Taylor. Taylor is extremely inexperienced. He has only been an offensive coordinator at the NFL level once when he was the interim coordinator for the Dolphins in 2015. The Bengals are banking on the hope that he is just like McVay. Taylor inherits a team that is trending in the entirely wrong direction. The Bengals have had three straight losing seasons, an aging quarterback, and a defense that gave up the most yards in the league last season. That's a lot for an inexperienced coach to handle. The Bengals probably won't look too hot in his first couple of seasons, but Taylor deserves the time to build his roster to a point where he can successfully implement the system that the Rams have in place. UFC 204 Main Card Preview: Who Will Stand Victorious, Bisping Or Hendo?